ATCA values individual privacy and we want to give our website visitors the opportunity to know what information we collect about them and how they can limit the use of personally-identifiable information beyond the purposes for which they first provided it. At all times, however, ATCA reserves the right to disclose information where required by law or to comply with valid legal process (such as a search warrant, subpoena or court order), to protect ATCA’s rights or property, including without limitation in the event of transfer of control of ATCA or substantially all of its assets, or during emergencies when safety is at risk. If you purchase a product or service at our site, we will also ask for your credit card number. We do not give out your credit card or account information to 3rd parties unless you authorize us to do so or if it is necessary to fulfill our responsibilities, including, but not limited to, delivering a product or service you order. ATCA collects information from its members (including names, addresses, business phone numbers, business fax numbers, and email addresses for inclusion in a membership directory that is distributed to the association’s members and to purchasers of the print directory. 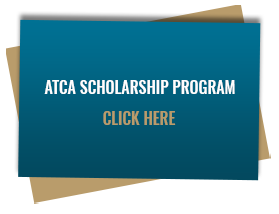 Access to directory information may also be available to ATCA members on ATCA website. Further, with the member’s express approval, ATCA may occasionally provide, sell, or rent limited data to third parties, including companies that offer products and services for sale to ATCA’s members. This limited data includes names, job titles, companies/organizations, business addresses, business phone numbers, business fax numbers, or email addresses. ATCA website is intended for adults. ATCA does not knowingly collect personal information from children under the age of 13. If ATCA obtains knowledge that it has personally identifiable information about a child under 13 in retrievable form in its files, ATCA will delete that information. ATCA does not enable “cookies” on our website with one exception. A cookie is used in website system administration to keep track of movement of an individual user from one screen to another. This information may be used by our staff to detect and resolve website problems and to assist with customer support. We do not collect any personally identifiable information about site visitors in this process. Our web server automatically collects information from your computer and navigational patterns when you visit our site, including your Internet Protocol (IP) address, the computer’s operating system, the type of browser you use, and the specific web pages visited during your connection. We may also, track data such as the total number of visits to our website and the number of visitors to each page of our website. We may use this information, in aggregate form, for system maintenance and to better understand how our visitors use our site and services so that we can make them better. ATCA may also share statistical or demographic information in aggregate form with third parties for marketing or research purposes. This aggregate data will not contain any information that personally identifies you. We want to be sure that we keep only the most accurate and up-to-date information about you in our records. Therefore, whenever you believe that your contact information needs to be updated, you can enter the members section of the website with your password and update yourself or you can also email us at info@atca.orgto correct or update your contact information. Other Internet sites you visit-including those linked from the ABC website-may have their own privacy policies or no policy at all. Other websites might use personal information differently then our policy permits. We strongly encourage you to review the privacy policies of any site before providing any personal information.